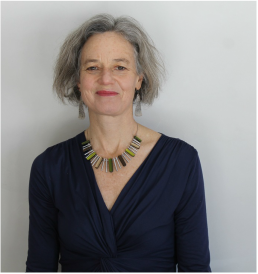 Catherine Sands, MPPA, a collaborating consultant with DAISA, has over 20 years experience as a food systems strategy and policy leader, researcher and evaluator. The founding director of Fertile Ground (www.fertilegroundschools.org), she has designed evaluations for community food projects (urban farms and gardens, farm to school, youth agriculture, food policy councils), specializing in action research and participatory methods. Fertile Ground is a contributing partner to the MA Food Systems Plan﻿ ﻿http://www.mafoodplan.org﻿.﻿ Since 2008, Catherine has been a lead evaluator of the Holyoke Food and Fitness Policy Council’s W.K.Kellogg Foundation multi-year food and community grant to improve access to healthy food and safe places to exercise in Holyoke, and is part of a national team of evaluators providing technical assistance for equitable, community generated food change. For nearly a decade, she has been a food systems and policy lecturer in the Stockbridge School of Agriculture at UMASS Amherst.